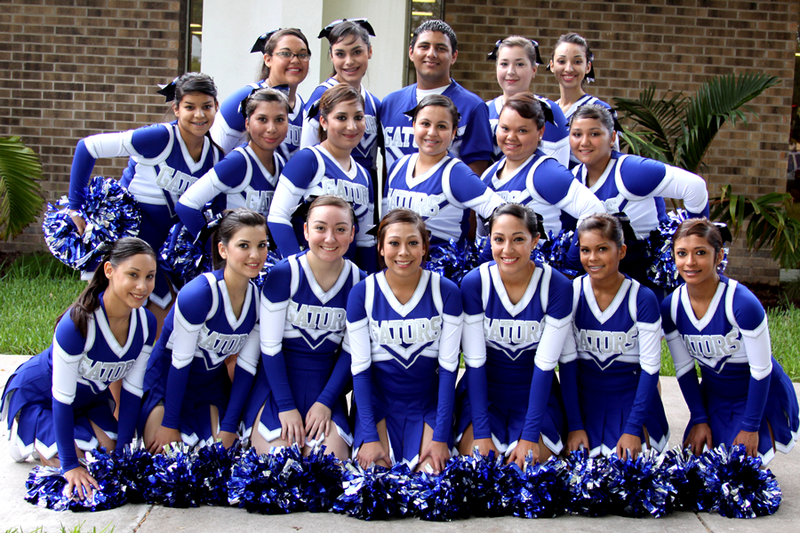 RGCCISD Grulla High School Cheerleaders kicked off their year by participating in the New Teacher Orientation held on August 12, 2010. The squad showed their Gator spirit by performing a few cheers for the crowd. The cheerleaders participate in various events throughout the school year and are currently preparing for the 2010 Football Season. The squad is under the direction of Rosie Chapa. Pictured l to r are; Front row (left to right): Kayla Arriazola, Yuliana Cantu, Yolitza Griego, Melissa Galaviz Varsity Captain, Michelle Montalvo Varsity Captain, Stacey Torres, and Koraima Alfaro. Second row (left to right): Claudia Torres, Kristina Flores, Brenda Longoria JV Captain, Bianca Venecia JV Captain, Tina Bazan, and Anahi Cardenas JV Captain. Third row (left to right): Selina Lopez, Jennifer Cantu, Miguel Vela, Alyssa Zarate, and Joalda Zarate.